Whether you want to sing, hum, make a groovy beat on your bus ride, or learn more about synthesizers and play on one of the world’s best synths on iOS — we now have an app for you! With our apps we want people to capture their musical idea when inspiration strikes, or simply become inspired by playing with the music. Do you have any questions about Figure and Take? Below I try to answer some of them. If you have more questions, don’t feel shy, just go to our forum and post your question. So Propellerhead is taking on Figure and Take from Allihoopa? Yes, we’ve acquired Figure and Take from the now defunct Allihoopa. We’re releasing them as Propellerhead apps and will be bringing them into the family of Propellerhead music making tools. Exciting, isn’t it? Didn’t Propellerhead create them at one point? Well, yes, we originally developed both Figure and Take. When Allihoopa split off from us, those apps went with them. After Allihoopa closed down, we couldn’t let those great music making apps die, so we brought them home to the Propellerhead family. Are there changes to the apps? Since the Allihoopa sharing service no longer exists, we had to remove dependencies to Allihoopa inside each app‚ e.g. no browsing Allihoopa or dropping to Allihoopa. As we progress, we intend to fill some of these holes in other ways through a series of updates. We’ve also asked users to sign up with a Propellerhead account, so we can keep you up to date as the apps grow and improve. Do I have to do anything to get them? If you have Figure and Take already on your iOS device, you can update them (if you don’t have auto-updates turned on for apps already). 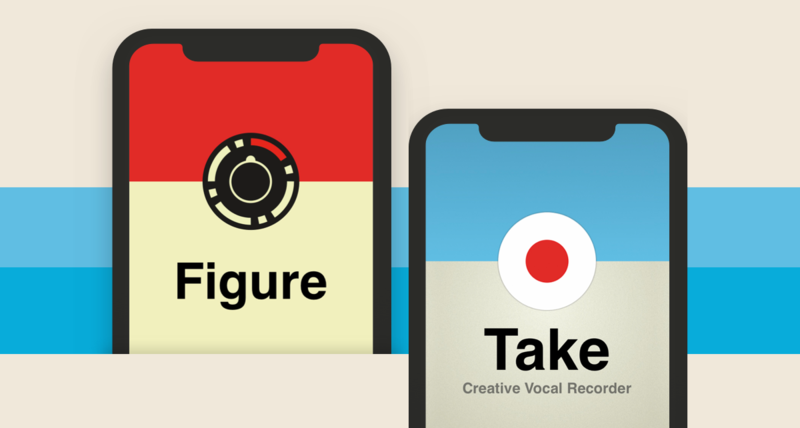 If you don’t own Take or Figure or have deleted them, just go to AppStore and download them. They are still free. What about the Allihoopa service? Unfortunately, the Allihoopa service remains closed. However, we are designing these apps to work as great stand alone music-making tools without the need for the Allihoopa service. We also have tricks up our sleeve on how to make them full members of the Propellerhead Reason family. Do I use my Allihoopa account to sign in? No, Allihoopa accounts have all gone away. If you have a Propellerhead account, you can log in with your existing Propellerhead username and password. If you don’t, you’ll be prompted to create an account when you launch the app. First and foremost, we just wanted to get Figure and Take out to you as soon as we could so you could get back to music-making. We want to make the apps work well with our applications, so you can expect to see some updates that integrate Figure and Take better into Reason and the like. We plan to find ways to get you more sounds, backing tracks and inspiration directly in the apps. There are a bunch of other things coming as well, so stay tuned. Expect to see these changes roll out over the next few months. I don’t own Figure or Take or iOS for that matter, is there anything me as a former Allihoopa user? For everyone that has been using Allihoopa and do not already have a Reason license, we give away a free license of Reason Lite. Then you have the possibility to take your music further in our full-fledged music production tool for PC and Mac. 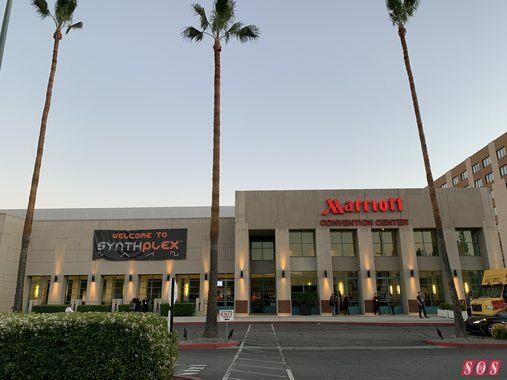 Keyboardist/producer Julian Colbeck (of KeyFax NewMedia/Alan Parsons’ ASSR) reflects on this inaugural West Coast ‘Everything Synthesizer’ event and managed to secure an exclusive chat with Thomas Dolby (watch the video). …and the awards presentation will be streamed live via the Sound On Sound Facebook page! In electronic music, it’s hard to imagine writing a great song without starting with the drum sounds. And while there are a plethora of fantastic drum samples available just a few clicks away, the hallmark of many renowned producers is their use of original drum sounds. Reason 10 is packed with features to help you create your own drum samples and stand out from the crowd. You can easily create your own drum sounds by layering two or more samples together to create a new sound. Use Reason’s browser to select a kick sample that highlights the attack of the beater sound. Then, choose a kick sample that emphasizes the body, sustain, and/or room tone of the drum. After you find two kicks that sound nice together, lower each sample’s volume so that the combined output doesn’t result in clipping. Now, listen to each sample by itself to hone in on its individual character. You may want to remove or automate the attack portion of the second kick sample so it doesn’t conflict with the beater sound of the first sample. Now you can beef up your drum sounds by using EQ. Experiment with boosting and carving different frequencies between the individual samples so they’ll complement each other instead of clashing. Another simple way to make your own drum sounds is using a Tone Generator to add sustain and power to existing samples. A Tone Generator is an oscillator that gives you simple envelope and pitch bend control. In Reason 10, you can use the Tone Generator included with Kong Drum Designer to put your own spin on a kick drum sound. Start an instance of NN-Nano Sampler, use the browser to navigate to the REX loops folder, and find the individual slice you want to sample. Set the Tone Generator’s pitch knob to a low setting to add extra boom to the kick sample. Now add a compressor to really squeeze the two sounds together. You can also use Kong’s Noise Generator to shape an acoustic drum sample into a more aggressive-sounding snare. Adjust the Noise Generator’s pitch and decay to match your drum sample, glue the sounds together with a compressor and now you have your own classic snare sound. While Kong’s Tone and Noise Generators are great for adding something to a sample, they can also stand on their own by creating new drum sounds from scratch. You can easily create your own analog-style tom sound by using Tone Generator to trigger a low-pitched tone with medium attack and decay settings. Next, turn the bend knob halfway up and experiment with bend decay. Now you can add a Noise Generator with the same attack and decay settings to the Tone Generator to achieve a classic 80s tom sound. Try layering multiple Tone Generators together at different pitches to experiment with more atonal drum sounds. Now that you know how to make your own drum samples from scratch, it’s time to start dialing in the unique percussive sounds that will inspire your next hit. Granular synthesizers combine the coolest features of samplers and traditional synths to produce complex sounds you just can’t get anywhere else. The theory behind granular synthesis may be fairly complex, but Reason 10’s Grain Sample Manipulator makes it incredibly easy—and just plain fun—to craft utterly unique textures. This tutorial will teach you how to use Grain to create extraordinary sounds from ordinary audio clips. Read on and watch the video below to learn how to make a patch in Grain! So, what is granular synthesis? How do granular synthesizers work? A granular synth slices audio samples into tiny pieces called grains, which can be played at different speeds, manipulated, and rearranged. The Grain Sample Manipulator even goes step further than most granular synths, incorporating several unique features. But despite its power and versatility, Grain is designed to make it easy to quickly craft complex, one-of-a-kind sounds. The fun starts in Grain’s sample view, where you can load any sample you like, trim the start and end points, and adjust key parameters like Speed and Root Key. You can make your sample play forward or backward, as a one-shot or a loop, in freeze mode, or controlled by an envelope (more on that later). These settings alone are enough to spend hours tweaking, but things really get interesting in Grain’s other sections. One of the keys to Grain’s versatility is its four modes, which each interpret the source sample in a fundamentally different way. The most straightforward of these is Tape mode, which simply maps a sample across the keyboard like a traditional sampler. Long Grains mode employs true granular synthesis, letting you freely adjust the Grain Length, Rate, and X-Fade to achieve a variety of sounds. Grain’s other two modes share more in common with synthesizers than samplers. Grain Oscillator mode works like an analog oscillator, playing grains at the speed of each note’s pitch. Spectral Grains mode analyzes each grain’s frequency content and uses additive synthesis to recreate them with partial frequencies. The result is an artificial-sounding version of your sample which you can shape with the Snap, Filter, and Formant controls. Grain also contains some common synthesizer components which make it easy to dial in sounds just like you would on an analog-style synth. A traditional oscillator with six waveform choices can be mixed with any sample to lend a recognizable synth character. With a five-octave range and modulation control, the oscillator can produce everything from bright overtones to subharmonic thickening. The granular synth and oscillator signals can both be routed through Grain’s filter section, which provides high-pass, band-pass, low-pass, and ladder filters for a variety of timbres. The straightforward Amplifier section controls the volume dynamics with a standard ADSR envelope. A full complement of onboard effects is also available, including chorus, phaser, flanger, delay, reverb, compression, EQ, and six types of distortion. Grain gets infinitely more powerful when you explore its modulation tools. The Envelopes section contains four fully customizable envelopes for unlimited potential. Each can be freely manipulated by adding points, bending lines, or drawing in custom curves. You can even use the Motion envelope to control the playback behavior of your source sample, changing where it starts and stops or making it skip around in time. Grain also features three low-frequency oscillators with ten different shapes, plus Beat Sync and Delay options. Below the LFO section, Grain’s flexible modulation matrix allows you to link all sorts of parameters for incredibly expressive sounds. In the Source column, you can choose from any of your envelopes, LFOs, MIDI velocity, and more to be the modulator. Each Source can control two Destinations, which can be anything from filter frequency to grain length or even the onboard effect parameters. With Grain, every recording you’ve ever made, every sample in every library, and countless sounds yet to be discovered can all become the basis of your next awesome patch.